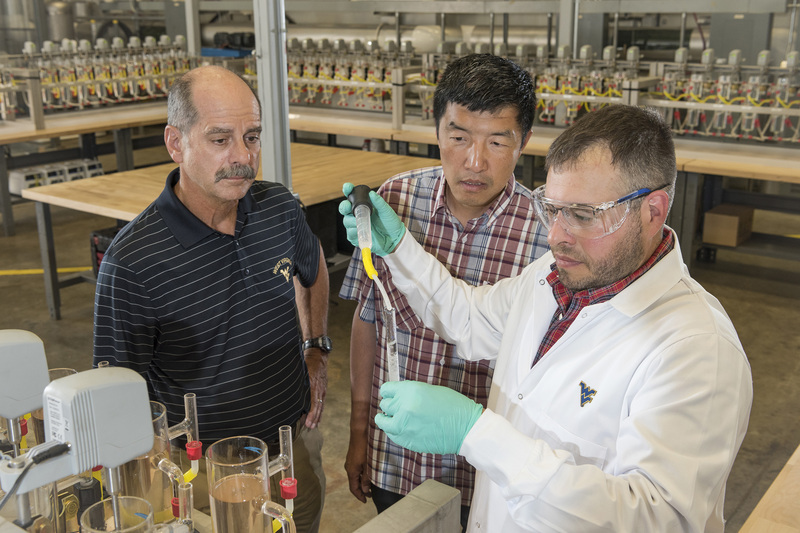 Members of the WVU rare-earth research team L to R: Paul Ziemkiewicz, director of the West Virginia Water Research Institute; Xingbo Liu, professor and associate chair of research, Statler College of Engineering and Mineral Resources; and Chris Vass, facility operator, work in new Rare Earth Extraction Facility at the WVU Energy Institute/National Research Center for Coal and Energy. 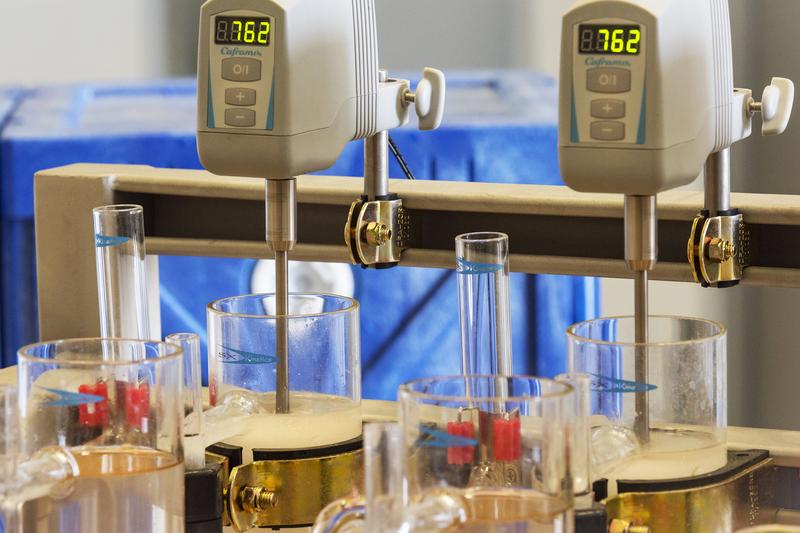 Mixing units run in the Rare Earth Extraction Facility at the WVU Energy Institute/National Research Center for Coal and Energy. 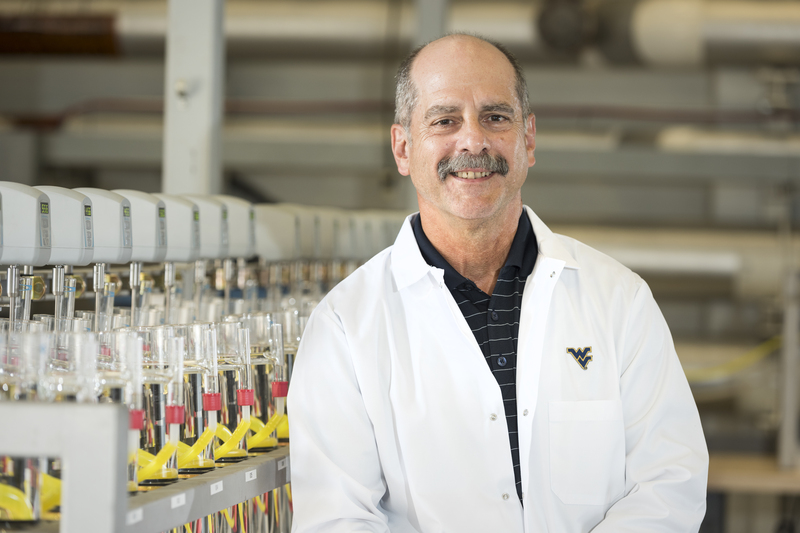 Paul Ziemkiewicz, director of the West Virginia Water Research Institute at WVU and the principal investigator of the rare-earth research project. 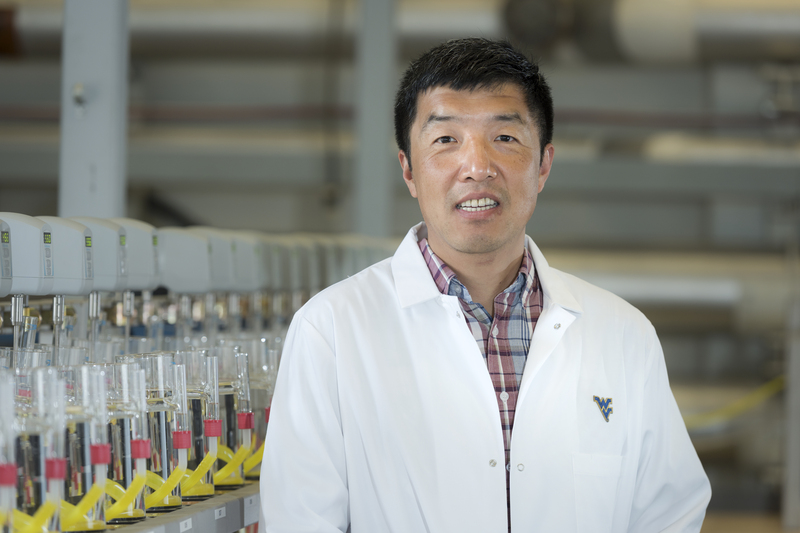 Xingbo Liu, professor of mechanical engineering and associate chair of research, Statler College of Engineering and Mineral Resources, and co-principal investigator of the rare-earth research project. 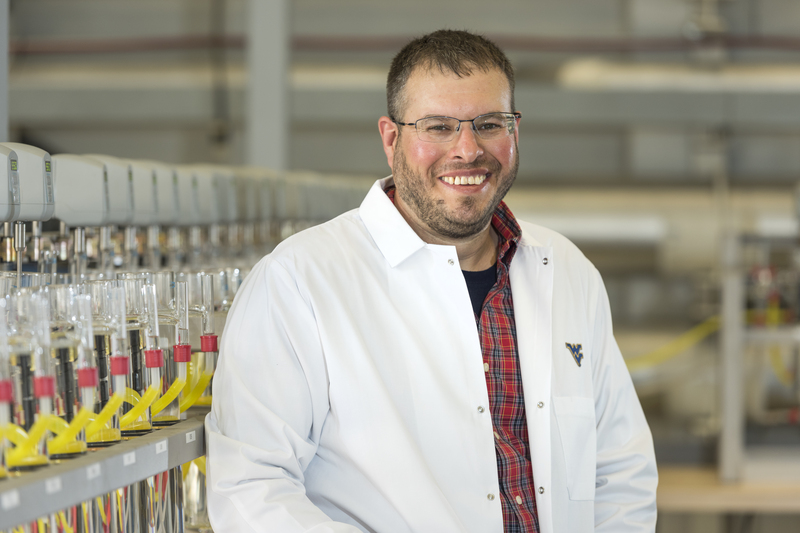 Chris Vass, operator of the Rare Earth Extraction Facility at the WVU Energy Institute/National Research Center for Coal and Energy.